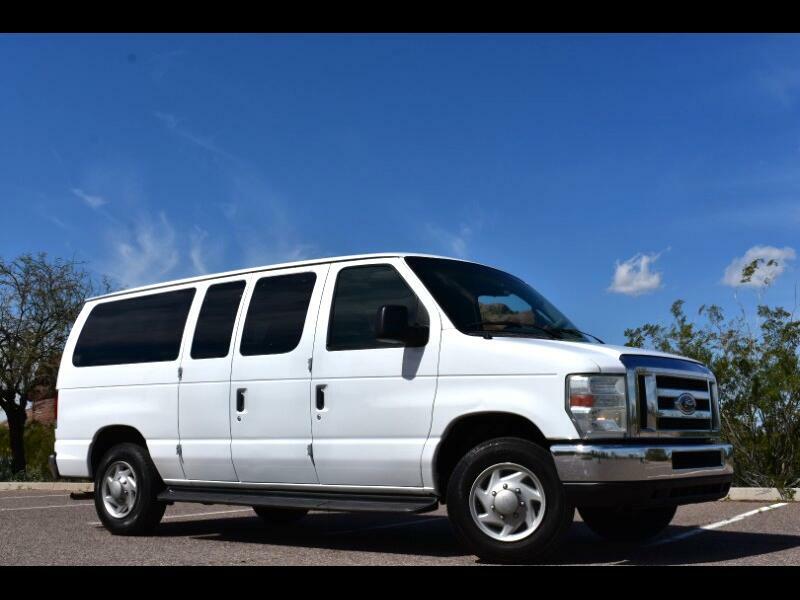 Scottsdale Wholesale Direct has a 2008 Ford E150 XLT Econoline van with a 4.6L V8 EFI engine, automatic transmission and only 145k miles. This van runs and drives perfect and needs nothing. It is in great condition inside and out and can hold 8 passengers. This would be great for a large family, private school/church, private hotel shuttle, taxi service or for a touring van or any sort of shuttle service that might be needed. This affordable passenger van is ready for road trips or continuous daily driving. This inexpensive ARIZONA PASSENGER van can start making you money or start moving your large family around comfortably. This van has the 4.6L V8 EFI engine that gets better gas mileage for a passenger van. The exterior of this passenger van is clean and has a few average rock chips. There are a few small dings on the front passenger door, a couple small light scratches by the driver's door handle and a few light scratches on the rear cargo area doors, please see pictures. It has factory steel wheels with Big O Big Foot H/T Load Range E (LT245/75R16) tires that are about 85-90%. The interior is clean and has captain's chairs through out the van for the driver and passengers. It has power windows, power locks, power mirrors, tilt wheel, cruise control, CD player w/ Am-Fm Radio and front and rear air-conditioning. These are very comfortable passenger vans with each passenger having their own seat and not sharing a bench seat. This RUST FREE ARIZONA Van is ready to hit the road.